Our boarders learn to make good choices in their daily lives and find their own unique passions and purpose – all while forging lifelong friendships with students from around the globe. TASIS England is pleased to announce that we are expanding our boarding program to include students from age 13 (GRADE 8). We are excited to now provide activities and a nurturing living environment focused on serving the needs of young adolescents. Our TASIS England boarding program encourages and supports students to gain independence, responsibility, respect, and resilience through the development of life long relationships and shared experiences. Starting in August 2019, we will expand our program to include students from age 13. Find out more by contacting our Admissions Team at: admissions@tasisengland.org. The TASIS boarding program is centered on the idea that young people of all nationalities and backgrounds can live, work, and learn together in a structured environment and grow together in personal responsibility and maturity. The TASIS boarder will learn to appreciate the cultures of others and will thrive in the diversity of backgrounds. 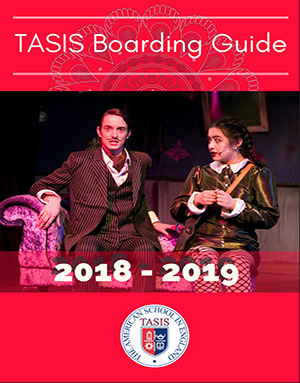 Interaction with adults and other students allows TASIS boarding students great opportunities; at the same time, the structure of the boarding program requires them to take responsibility for much of their lives. In this environment, they will grow in personal responsibility, intellectual curiosity, and cultural awareness. With more than 20 different nationalities and 165 students in our boarding program, TASIS provides a unique environment for learning and growth. Our boarders learn to make good choices in their daily lives and find their own unique passions and purpose – all while forging lifelong friendships with students from around the globe.